Television holds a special place in many households. It brings the whole family together while stimulating imagination and creativity. 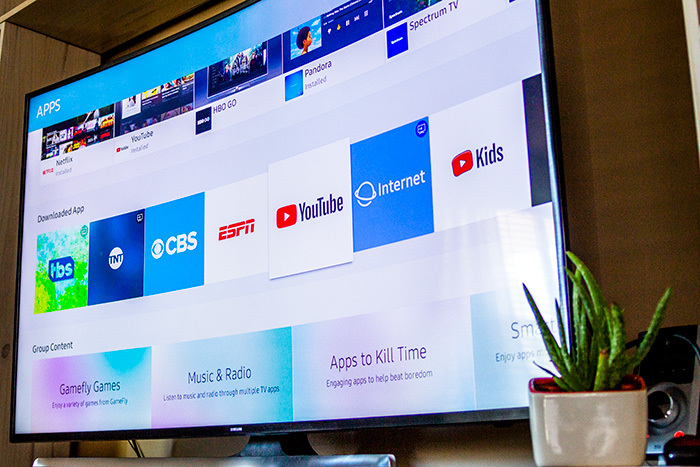 The problem some people run into is finding a quality yet affordable TV. 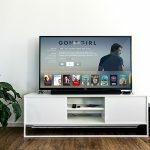 There are a few tips that can make it easier to find deals, no matter if you are looking at a smart TV or 4k TVs, flashy Sony, Samsung, LG or the economic Vizio, Element,… Following is a simple guide to help you find a great TV for sale. One way to get a TV at cheap price is to look for older television sets. All you have to do is visit a big box store and look for older TV models that you are interested in. Now, there are a few things to think about before purchasing one of these televisions. One, it is wise to visit these stores after an updated model has been released since these stores will be eager to get rid of older models. Keep in mind that most newer TV models get released between March or April, which are the months you should be paying attention to. You should also make sure that you know exactly what kind of television you need, especially if you are going to buy an older model TV. This is important because older TVs might be missing some of the updated capabilities that you are looking for. 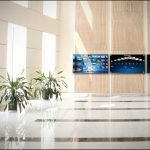 Bring a list of the capabilities and connections you need so you can ensure this TV offers what you need. Finding a good TV for sale is all about timing. You have to know when to hunt for a television set. 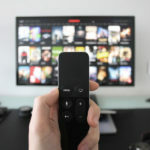 The Super Bowl season is a great time to go TV hunting for a number of reasons; for one, most current models have been on the market for about a year by the time February comes around. It should also be noted that many big box stores know that people are looking for deals and they want to satisfy those desires. It may seem like stores are losing money, but they actually end up making more due to the number of sales they get during a promotional period. Remember to check out discontinued TVs, which usually go on sale around March or April as mentioned earlier and continue to sell throughout the year until the TVs are no longer being sold. Stores always have sales, which is good, but there are a few sales worth waiting for. The infamous clearance sale is one of them, but the ones you can truly make a kill on is the Black Friday and Cyber Monday sales. The famous Friday sale has been a part of retail tradition for some time. Some manufacturers actually build TV sets for that sale every year. Most of the time, these TV sets do not come with all the features you’d want, even though they resemble some of the new TV models. Be sure to avoid buying these models, which are sometimes referred to as derivatives. You can usually tell that you are dealing with a derivative if you cannot find user reviews online or cannot find that same model sold in other stores. This TV set will be relatively cheap, but you will be sacrificing quality. Sometimes, these television sets are made with subpar materials, which is something you end up paying for later on. Of course, you can always buy the warranty, and make sure that a problem is dealt with by the store or manufacturer instead of you. Now, another thing to point out is each store has a finite number of TV sets. This means they will likely run out at some point. Those who are attempting to take advantage of the Friday sale should make sure that you are in the store and ready to purchase this TV before everyone else snatches them up. The only hiccup here is committing to being at the store of your choice on this day. The lines are usually quite long, and the crowds can get hectic because a lot of people are competing for the same products. Try to make it to the stores, get what you want, but make sure that you exercise caution at all costs. It should be noted that many stores are now competing with online prices and Cyber Monday, which occurs a few days after Black Friday. These stores know this and are actually changing their prices to stay as competitive as possible. Try to use this to your advantage by bringing in a few online prices and see if you can get a better deal. People who do not want to do all the work involved with shopping on these big sale days could simply skip it and take advantage of the online sale on Monday. Keep in mind that there are many stores selling TVs online. Try to do your research before settling with one deal as oppose to another. Those looking for the best quality yet cheap TV and do not mind that it was touched by others should consider open-box TV sets. These are the television sets that stores place in their showrooms and allow customers to test out. They are normally on display for a year before they are replaced with the newest models. These television sets are sold in stores when new models come in, but today’s modern age has made it possible for most stores to sell these TVs online. All you have to do is look for open-box television sets. The TVs come with a guarantee and are usually in great condition, but you do get that discount because most people prefer something that is brand new. You should consider buying an extended warranty if you are going to be purchasing one of these TVs, just in case. The TV you are considering was heavily used after all, which usually means something could go wrong. You do not want to get stuck with the repair bill when this could have been avoided with a warranty. Refurbished TV is another option you can consider. These types of television were returned by a customer. They are not new, but the stores still want to make some money off of them. They are usually inspected for any problems, repaired when necessary, and then sold as refurbished models. The repairs are done by specialists you can trust, and you can still buy an extended warranty policy to ensure that issues are taken care of should they spring up. Still, it does not hurt to inspect the television and test it out before committing to it. Again, these refurbished models are sold in stores but are also offered online. Keep in mind that there is probably only one refurbished model of each TV that you see, so make sure you do not snooze on an offer if you find the model you were looking for. The good thing about scouring through some of these TV sets is that sometimes the TVs are current models so you never know. Every store has a few policies aimed to entice customers, and you can use these policies in your favor; for example, a good policy to look for is the price-match guarantee. All you have to do is find a better price online, and you can use it to get a better deal in the store. You should also do your best to find out if the store you normally go to has a refund difference policy. This policy helps those who purchased a television set but later find out that the TV went on sale. You have a small window to bring this up to the store, which can refund the difference. This is not a popular policy, so make sure that you find out if it is something that can be done in the store where you just made your purchase. You also have to make sure you bring this up as soon as possible because most stores only honor this type of policy for about a month. 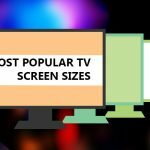 Keep in mind that this means you have to look at the store’s prices continuously after purchasing your television set so that you do not miss your opportunity. It is a tedious task but it is worth it if you can get some money back. Those who have not purchased the TV but are going to should ask if you can get the difference back should the television you are buying go on sale shortly after. Find out how long you have so that you do not continue looking for a possible sale longer than you need to. Large and small retailers are hungry to interact with their customers. This helps create a sense of closeness and loyalty, which is very lucrative for a store. Stores know that an effective way to connect to customers is through social media platforms. Social media has become one of the most successful ways to advertise and connect with customers in today’s modern age. You need to find and follow the social media profile belonging to the stores that you frequent. The reason you are doing this is because most stores love to reward their followers, and this is sometimes done by giving followers the scoop on a sale that is not advertise anywhere else. This means you get to benefit from it, and the store will not likely run out of the model since only a few people know about it. It might also be a good idea to actually interact with the brand you are following and enter some of their contests should they offer any. You never know when you are going to get lucky or get recognized as a loyal customer. Now, those who are a little more adventurous may want to consider using social media in another way. There are a number of individual online sellers who may be selling their TVs online, too. Some of these people may be using social media to connect to potential buyers or may be using auction sites. The good thing about these TV sets is that they are usually sold at a great price. All you have to do is make sure you read reviews from past customers if you are using third party auction sites. If you are buying the TV from a person online, you should hire a TV specialist to inspect the TV before closing the deal just in case. Sure, the expense of hiring a TV specialist to inspect this TV set may seem excessive, but remember that you are going to be buying a TV without a warranty and from someone that you do not know. All you are doing is protecting yourself. Yes, it is a risk, but you are probably going to be getting a good deal. 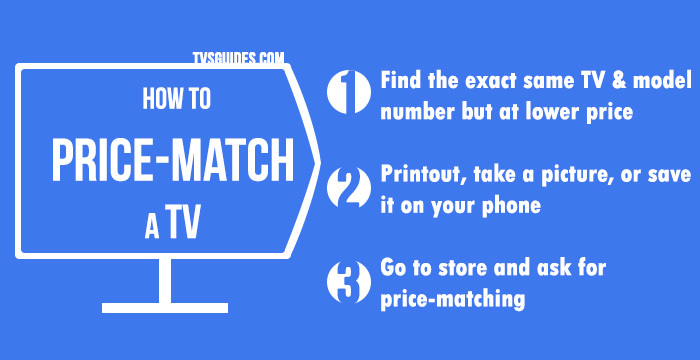 These are just some of the steps you can take to get a TV set for a good price. You are going to be saving some money and still end up with the TV you’ve been dreaming of. Sure, it takes a little work, but all good things should take some work.